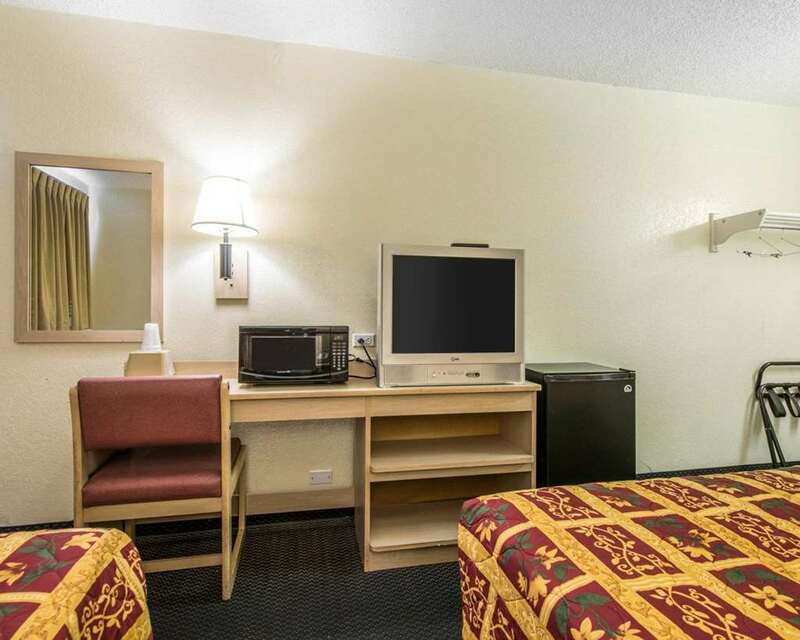 When all you need is a solid deal on a simple stay, the Rodeway Inn hotel in Pueblo, CO is just what you are looking for. We're off Interstate 25 and Highway 50 near attractions like Lake Pueblo State Park, Pueblo Convention Center, Colorado State University-Pueblo, Historic Arkansas Riverwalk of Pueblo and Colorado State Fairgrounds. Enjoy amenities like free continental breakfast, free wired Internet, guest laundry facilities, copy and fax services, a picnic area and a restaurant. Rooms include refrigerators and microwaves. Also, earn rewards including free nights and gift cards with our Choice Privileges Rewards program. No rollaways at property.